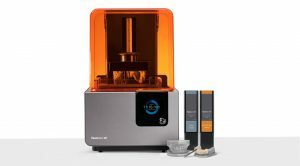 Our Formlabs Form 2 3D printer allows us at Linhart Dentistry to print models, surgical guides, and even night guards from digital models! In tandem with our intra-oral scanners, we are able to quickly and accurately reproduce digital models of all sorts. By scanning all of our patients with our Trios and/or E4D scanner, we are able to generate .stl digital models of their teeth. 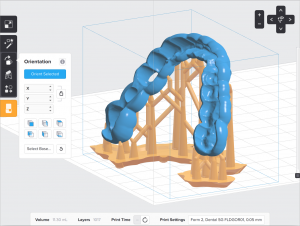 These models are stored digitally, forever, and can be printed on the Form 2 at any time for use in orthodontics, for night/snore guards, to track grinding and clenching, for implant surgical guides, and for many other applications. The Form 2 is an amazing machine in that it cures a liquid resin using a laser, making it fast, accurate, and relatively maintenance free! It is a huge asset to Linhart Dentistry.